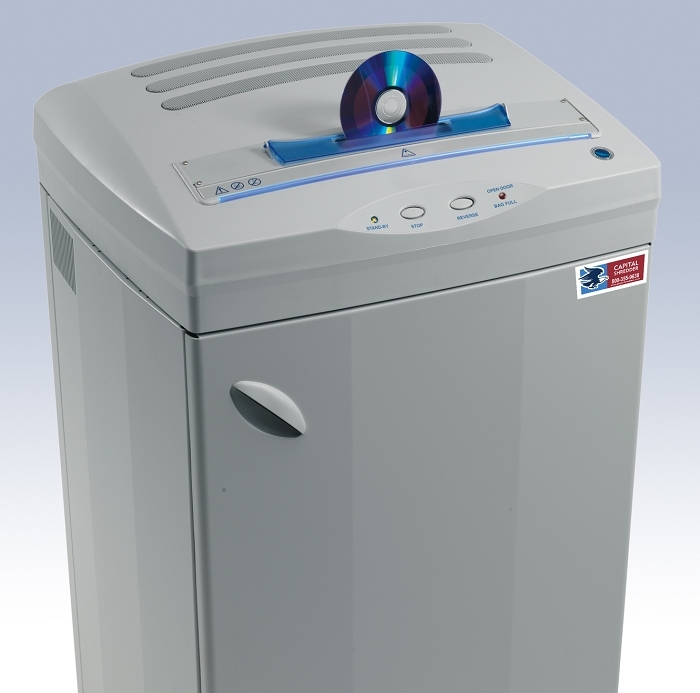 The K-16OM is a High Security Optical Media Shredder. It has been evaluated by NSA and meets the requirements of NSA/CSS Specification 04-02 for Optical Media Destruction Devices. Ideal for DOD and Government top secret and classified shredding of Optical Media including all types of CDs and DVDs as well as credit cards. 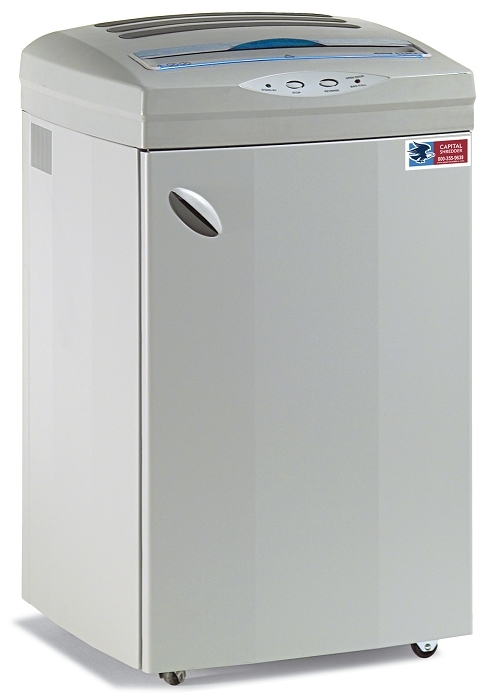 Designed for heavy office use, the K-16OM can shred up to 2550 Disks per Hour. It provides the highest security level available today for optical media and can shred a single CD into over 3,000 0.06" x 0.1" particles. The K-16OM has a specially designed cutting head based on Floating Head Technology. This allows for cutting head repair in the event of damage; an option not available on most shredders that use solid block cutting heads. The K-16OM is equipped with the ENERGY SMART system for zero power consumption in the stand-by mode and a powerful 24 hour continuous duty motor with heavy duty chain drive and steel gears. Also includes an internal integrated Automatic Oiling System that lubricates the cutting head during operation and an all steel cabinet on castors. Other features include Automatic Start/Stop operation, auto reverse anti-jam protection, bag-full and door open indicators.